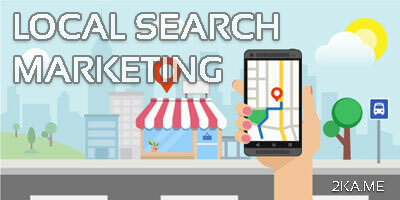 Local SEO, which specifically targets people in your geographic area has become increasingly more widespread nowadays. If your business has looked into local directory site you know that there are a great deal of them out there. With so many websites offering local listing it can get confusing regrading which ones are better to submit too. However, as a business not utilizing this marketing tool would be a mistake. Below we have listed the kind of local listing sites into different categories to help simplify these websites for you. As always the leaders in this field are Google, Yahoo, and Bing. Since most people use these main each engines to search they are an important place for your business to be listed in. Each one of these SERP’s has a specific area where you can list your company with its own dashboard. You can list your business on Google at Google Places, at Yahoo on Yahoo Local, and Bing at Bing Local. Each listing will ask you to verify your company business with a telephone call, or by mail, but by going through all the procedures you will definitely benefit your business locally in the long run. Remember the time of the phonebook, where everyone was listed alphabetically on paper? All that’s really changed is that company listing became paperless. When you list your company online on local yellow pages not only do you get local traffic browsing, but some search engines may relay this information to users as well. Alright you are probably wondering what local Meta search engines are. The simple way of describing it is to think “Map Quest”. These search engines scour the web seeking information to offer their users. So while they are not the most crucial spot to list yourself, they do nothing but help your cause. Not to mention the fact that most businesses overlook these internet sites, giving your company better use of your listing. With this type of listing you can take away all the work of having to go to different websites and recreate a listing each time. You list your business with an aggregator that will basically do the work for you. All you do is create your listing once, and the rest of the work is on them. They will then submit your listing to a list of directories. This is a comfortable option, but you should pay close attention to the terms and conditions. With some of these aggregators when you terminate your contract your listing may disappear afterwards. You will then be back to square one and have to start over. Nowadays, no one goes anywhere before reading reviews about the place. Whether it’s a local deli in Maryland or a big Maryland Digital Marketing Consultant company. People always read about what others have said about your business and how many stars it has. This has become such a wide spread occurrence that people have started monetizing off of reviews by creating website specifically for this reason. So, make sure your company has a presence on sites like these, as to not loose potential clients just because you’re not there. Local listings websites are all over the internet. There are so many that you might wonder why and how am I going to submit to all of them. The goal is to submit to the top and most known websites out there. You might get to the point where it feels overwhelming. Which is why we, Maryland Digital Marketing Consultants, can help. We provide Maryland Local SEO packages to help your company get the most benefit spending the least amount of money. Our packages have competitive pricings and are the most affordable in the market. For more information on how to better your website you can contact us or check out our Maryland local SEO packages now.